Bulletproof XCT Oil and Brain Octane Oil are packaged in a non-BPA, recyclable HDPE bottle to reduce the environmental impacts of padding, packaging and shipping glass bottles. Can I put XCT in anything else besides Bulletproof Coffee? How does XCT provide fast energy? XCT converts into ketone energy, which can be used by the brain and body, faster than other fats or oils. 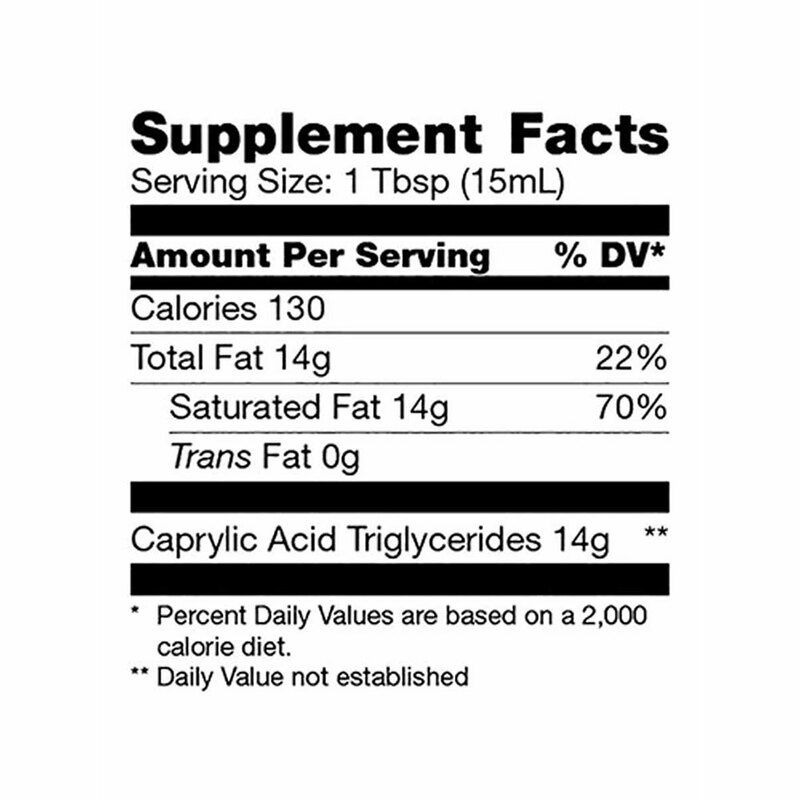 XCT is metabolized differently than other types of fat and will not lead to an increase in cholesterol. How much XCT is too much? What dose should I start with? You can consume as much XCT as you enjoy and tolerate – some people eat 6+ tablespoons and some people prefer 1 teaspoon. We recommend starting with 1 teaspoon and slowly increasing as your body adjusts. Where is the coconut oil in XCT sourced? Is it environmentally sound? The coconut source in XCT comes from sustainable, organic coconut plantations across Southeast Asia. No, XCT sourced from coconut or palm kernel oil is biologically identical and is used by your body in exactly the same way. XCT is refined to the point where coconut proteins are no longer present, which is why there isn’t an allergen declaration on the bottle. You should have no problems consuming XCT if you’re allergic to tree nuts. Does XCT have a taste? XCT is odorless, tasteless, and easy to add into any diet. Because your tongue has specific fat receptors, XCT will enhance the taste of other foods without affecting their flavor. What is the cooking threshold for XCT? XCT is suitable to cook at temperatures under 320° F.
Does XCT need to be refrigerated? No refrigeration is required. XCT is liquid at room temperature. XCT Oil and Brain Octane are packaged in fully recyclable, BPA-free plastic bottles. These bottles do not release any chemicals into the oil and the oil is only touching other oil molecules as a single molecule of oil bonds to the inner wall of the bottle. Please help the environment by recycling your used bottles. XCT Oil can be consumed anytime of the day that you want to add quality fats to your diet. 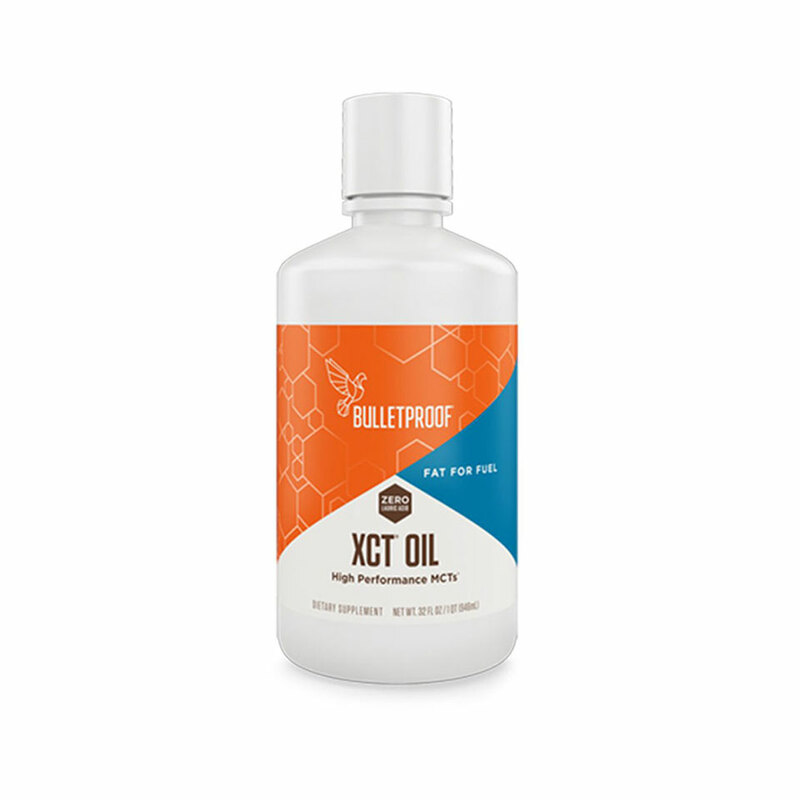 Using XCT Oil as a supplement in your diet makes meals more Bulletproof. Add XCT Oil in Bulletproof Coffee™, tea, smoothies, salad dressings – or any food or drink for an amazing boost. Bulletproof XCT Oil is heat stable up to 320° F.
The best way to maximize energy and reach peak performance is to blend XCT Oil with grass-fed butter in a fresh cup of Upgraded Coffee, to make Bulletproof Coffee. 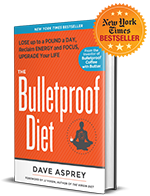 If you’re new to Bulletproof Coffee, add 1 tsp Bulletproof XCT Oil to 8 oz of hot coffee. Gradually increase the amount each day as desired to reach 1-2 tbsp per cup. “XCT OIL – MANY BENEFITS! I love the products and have felt a difference. Being a doctor that sees high volumes of people I need to perform at my highest level and I feel these products help me do this. Thank you for your knowledge and impact. Great products definitely feel full in morning after one cup of BulletProof Coffee. The XCT Oil & Brain Octane give an alertness to my mind soon after consumption. Much different effect then the normal coffee grind.